We have moved on from pre-set TV schedules to video on demand and consumer generated content – and our computers, tablets and smartphones have taken over the TVs. That’s what drove us to create Stremio: we wanted to empower you to work with media in a way that makes sense to you. Today we’re gonna take a look at the features that make our app so intuitive and easy to use. The first time you launch the Stremio app, you are welcomed by the Discover screen. On it, you’ll see a really, really big selection of content and media. You may feel a tad overwhelmed but don’t worry – that’s a side effect of modern age. Plus, we’ve made things easier for you – way, way easier. In the upper left corner of the Discover screen, you’ll see the available content divided into 4 main categories – movies, TV series, YouTube channels and TV channels. If you don’t feel like just browsing through all the available titles, you can refine your choice by genre – action, animation, drama, reality television, sci-fi, etc. To make your search even easier, you can set further filters – “Trending” for YouTube videos, and “Trending”, “Rating”, “A-Z” and “Year” for films and TV shows (if you have installed add-ons such as Netflix for example, these will appear next to the other filters too). Of course, you can also use the search bar to enter the name of your favourite director, producer or actor, and you’ll see all the content matching your search criteria. You check out a movie, see a name of an actor/actress and want to see what else you can find with them? Just click on their name and you’ll have the list in seconds, just as if you’d typed the name in the search bar. Once you find a title that looks interesting, you just need to tap on it to have more detailed information shown on the right side. That particular show looks like your cup of tea? Click on the plus sign under the description and it will be added to your library. 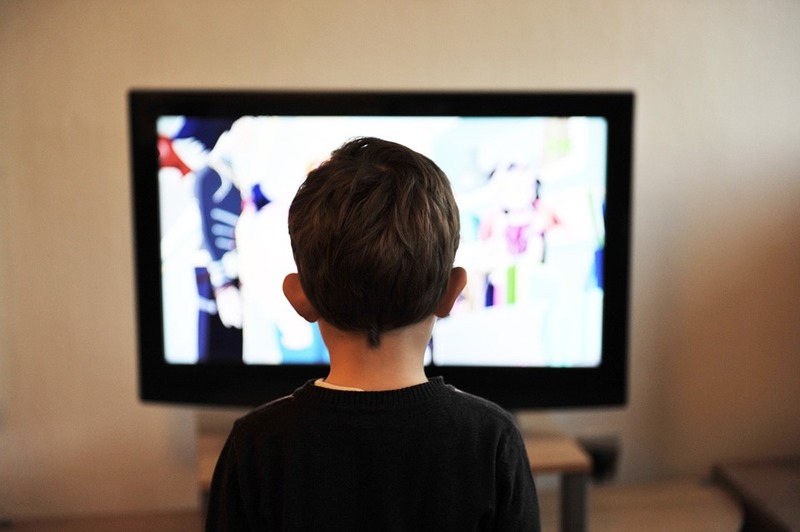 Move on to your Library tab and you’ll see all your favorite shows, movies and channels, which you’ll be able to filter by three criteria: recency, alphabetical order and watched shows. Say you’re watching a movie and you are interrupted for some reason – an urgent phone call from your boss, the neighbor rings the doorbell in need of a cup of sugar, etc. You pause the movie, then get distracted and forget about it. In an non-perfect world, you would need to scroll back and forth the progress bar of the video to find the spot where you were interrupted but don’t worry – we’ve got you covered. Under the Board tab in Stremio, you have a section called “Continue watching”. This is where the app keeps all the shows and films you didn’t watch till the end, and you can simply start again from where you left off. 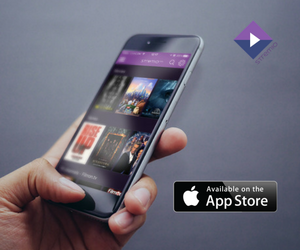 But wait, there’s more – even if you started searching for the movie in your library, the app would still remember the point until you watched it and will resume from there. Neat, huh? If you’re following a TV series or a few (we know it’s a few, there’s no shame in admitting that! ), you’ll probably just love our calendar functionality. It organizes all of your shows by release date, so you tracking which show airs on which date is super handy. We wouldn’t want to toot our horn, but when it comes to TV, this is the next best thing since sliced bread. The calendar feature itself is good enough to keep track of your shows, but we’ve made sure that you never ever miss a thing you want to watch – every time there is a new episode of a show you follow, or a YouTube channel has a new upload, you’ll get a notification within the app. You will also see a notification every time you activate a new add-on for example. While most people today interact with content on some sort of a mobile device (be it a laptop, phone or tablet), the TV set it not yet bound to become obsolete, so we factored in the user experience on a TV. This is why we integrated the option to cast what you’re watching on Stremio to a TV. Currently, you can watch via DLNA, Chromecast or Apple TV but we are also working on Stremio Circle – a plug- and-play device that will let you to get Stremio on your TV through an HDMI port. 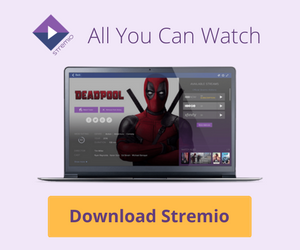 The last feature we are going to talk about today is the selection of content add-ons you can find on Stremio. We have divided these into two groups: official and non-official ones (i.e. developed by third parties). Keep in mind that add-ons may vary based on availability in your location. To see the ones available, simply click on the little “+” icon in the upper right corner of the app – you’ll be taken tohttp://addons.strem.io/, where you’ll see the entire list. To date, the official add-ons available are Guidebox, YouTube, Filmon.tv, as well as OpenSubtitles. Of course, when you select something to watch, you’ll also have the iTunes, Google Play, Amazon and Vudu options pre-loaded. The unofficial add-ons include Netflix, Popcorn Time, Twitch.tv, StreamFeed, and other country-specific ones. If you would like to use a specific add-on that’s not listed, you can request it at [email protected] (we don’t honor requests for services that infringe copyright, though), or simple create one yourself (we have anadd-ons system module on GitHub and a handy tutorial). Have questions, comments or feature suggestions? Give us a like and a shout on our Facebook page!